Victory Gardens Theater is offering patrons the chance to be part of the production process via its “Open Rehearsal” program. 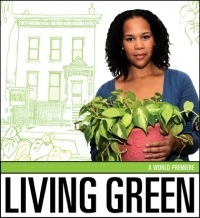 The first entry in the program, “The Making of Living Green”, will take place at 6pm on January 15th at the theater, 2433 N. Lincoln Avenue. Audience members get to watch a 30-minute reheasal of the world premiere family drama by Gloria Bond Clunie, and then participate in a talk-back session with the cast, director Andrea JH. Dymond and playwright. Admission is free, but reservations are required via e-mail at event@victorygardens.org or by calling Will Rogers at (773) 549-5788, x2167. Previews of “Living Green” begin January 23rd. For tickets, call 773-871-3000.